Miscellaneous Plastic Buckets, 6 Gal, 3.5 Gal, 2 Gal, 1 Gal Our Buckets and Pails, meet all FDA, USDA, UFC, and NMFC regulations. These quality shipping containers, Food storage buckets, and utility containers are the standard of the food and chemical industry as well as widely used in the government and education sectors. 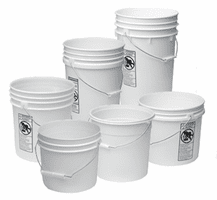 BayTec heavy duty plastic buckets come in many sizes ranging from 1 to 6 gallons. 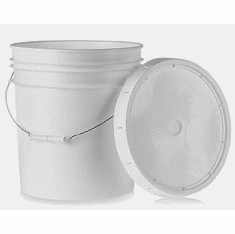 Our inventory of 5-gallon buckets offers a large selection of color and lid choices. .
All colors except black are made with FDA approved food grade plastic, making them safe applications involving food or drink. All Plastic Heavy Duty Buckets and Pail Containers are UN marked and are suitable for use with Hazardous Solid Material which is compatible with High-Density Polyethylene and does not exceed the UN marking. 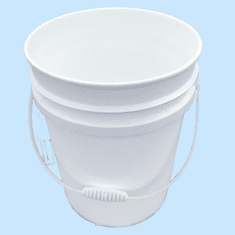 Our inventory of 5 gallon buckets in super heavy duty 90 mil, offers a substantial savings over thin 70 mil plastic 5 gallon buckets sold buy other dealers on the web. All colors except black are made with FDA approved food grade plastic resin, which makes them safe for most applications for storage of food or drink. Our 5 gallon buckets and pails meets FDA, USDA, UFC, and NMFC regulations. 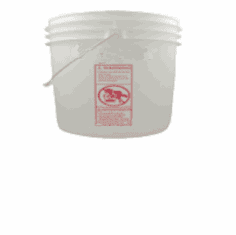 These quality shipping, storage and utility buckets are the standard of the food and chemical industry. 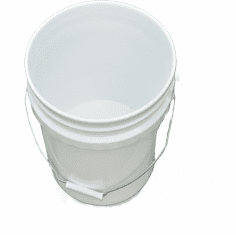 Before you buy from another dealer, please make sure your 5 gallon bucket or pail is 90 mil. 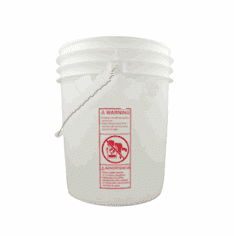 This is the industry standard for quality heavy duty High density polyethylene buckets.